Project Perfect Mod :: View topic - CNCNZ Dev Detector: Eric Gooch interviewed. Posted: Sat Oct 13, 2018 7:54 pm Post subject: CNCNZ Dev Detector: Eric Gooch interviewed. Subject description: Read it quickly before power shifts again in the Brotherhood. His name is Seth. It's just Seth. From God to Kane to Seth. And he is in the spotlight of our CNCNZ.com friends with their feature Dev Detector. 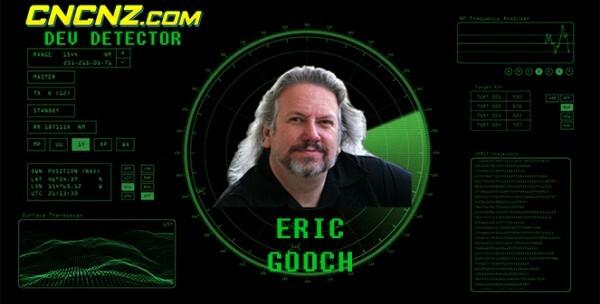 This time, they've interviewed Eric Gooch, who modeled some of the units of the old Command & Conquer games from Westwood and he was also cast as the iconic Seth, Nod general from the first Command & Conquer game. Currently, he is a freelancer working for Bend Studio for the game Days Gone. 11. The initial C&C Rivals character art style received a lot of criticism. How did you react when you first saw Redwood Studios’ rendition of Seth? Actually, I thought it was funny. It’s like a cross between me and Ming the Merciless from Flash Gordon. It doesn’t bother me though, I think overall it’s fine, and hey, they brought Seth back! EA did contact me to “secure my digital likeness” so it’s all above-board too. I’m happy to see Seth live on. Anyway, if I were you, I'd read his interview as fast as possible. Because, you know? Power shifts quickly in the Brotherhood.